In Standard Oil Company of New Jersey v. United States, 221 U.S. 1 (1911), the U.S. Supreme Court held that the Standard Oil Company was guilty of operating a monopoly in violation of the Sherman Anti-Trust Act. While the Court upheld the application of the anti-trust law under the Commerce Clause, it limited the reach of the Sherman Anti-Trust Act to unreasonable restraints of trade. The Standard Oil Company initially became very successful in the petroleum industry by using alternative types of technology in oil refinery. Under the direction of John D. Rockefeller, Sr., the Standard Oil Company eventually expanded its company by acquiring its competitors. By 1906, Standard Oil controlled over 75 percent of the oil production in the United States. The federal government ultimately filed suit against the company for allegedly engaging in anti-competitive practices in violation of the Sherman Anti-Trust Act. The suit maintained that while purchasing the competition was not technically illegal, the practice violated the Sherman Anti-Trust Act because it stifled competition. 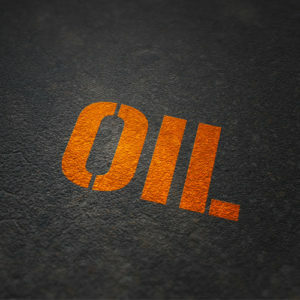 The suit also alleged that the Standard Oil Company also engaged in other prohibited actions, such as threatening distributors that did not purchase its petroleum and undercutting its oil prices to force other companies out of business. The Court found that the Standard Oil Company violated the Sherman Anti-Trust Act and ordered its dissolution into smaller companies. Chief Justice Edward White wrote the majority opinion. In reaching its decision, the Supreme Court determined that the term “restraint of trade” had come to include the formation of monopolies and their consequences. As detailed by the Court, the consequences that violated the Sherman Anti-Trust Act included higher prices, reduced output, and reduced quality. The Court further concluded that the Sherman Anti-Trust Act only prohibited contracts that “unduly” restrained trade. “The Anti-Trust Act of July 2, 1890, c. 647, 26 Stat. 209, should be construed in the light of reason; and, as so construed, it prohibits all contracts and combination which amount to an unreasonable or undue restraint of trade in interstate commerce,” the Chief Justice wrote.